Remember the Pepsi Challenge? The one where you’d do a blind taste test of Coke and Pepsi, tell them which you liked better, discover which brand it was, then win a prize regardless. That was fun right? As we shared with you a few weeks ago, food experts concluded that Heilu butter could 100% replace the oils we typically use for all sorts of foods, from muffins to turkey wing confit, and nobody could tell. This feedback was so unbelievably positive that we had to try it ourselves. And what better food for a "Heilu Challenge" than cornbread? 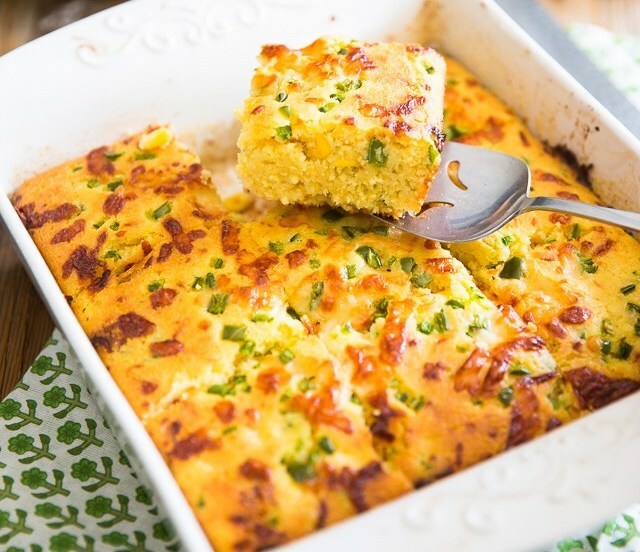 Jalapeño cheddar cornbread to be precise. 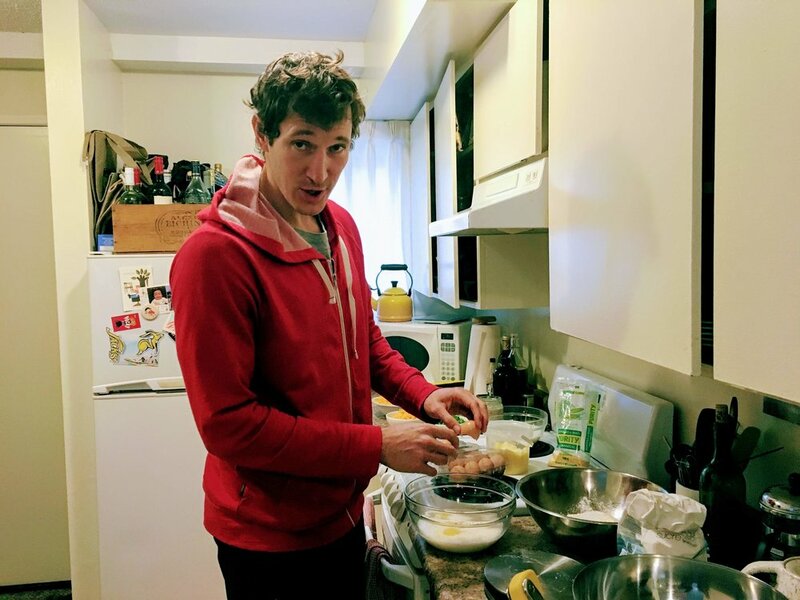 Chris "defying convention" by actually baking something in the kitchen. Heilu butter on the left, normal butter on the right. The first ever Heilu Challenge took place last week at a Local Talks event where Jorge and I had the chance to talk about defying convention in the food industry with our friends from Wize Monkey (Tea from coffee leaves! ), Coast Protein (Snack bars from crickets! ), and The Good Stuff (Delicious smoothies!). It was a great chance to not only talk about what we do, but actually give the audience a taste! (left to right) Dylan from Coast Protein, Mike from The Good Stuff, Jorge from Heilu, Max from Wize Monkey, and Chris from Heilu. Surprisingly, every single attendee at the Local Talk event was daring enough to participate in the Heilu Challenge (well, except one who was allergic to corn). Some ate first and asked questions later (Surprise! ), but generally the attendees were sustainable/healthy/open-minded/hipster types, so eating alternative foods like Heilu was no big deal for them. Indeed, when I asked the audience during our discussion how many had tried eating insects before, almost everyone raised their hands. There were, however, some who hesitated at first. Amazingly, a few were so intrigued or impressed by the taste test that they actually asked to try the Heilu butter on its own! This level of participation was highly encouraging. More important, though, was whether they could tell the difference. How did Heilu butter stack up versus regular butter? Both option A and B looked delicious, but were they equally tasty? The results can be best summed up with a sampling of written comments. As final proof, look no further than my partner Jorge: When he did the test and I asked him which was which, he guessed wrong. You may be wondering why we’re happy with results indicating that Heilu is only "just as good" as butter. Shouldn’t we want it to taste better? That’d be nice. I don’t know about you though, but I think butter is already delicious and doesn’t need fixing taste-wise. The problem with butter is that it requires a lot of resources to produce. Heilu, on the other hand, is super-sustainably made by upcycling food scraps. On top of that it has a similar nutrition value to coconut oil. Considering these advantages, Heilu butter tasting “just as good” as regular butter is just great. If you’re interested in participating in the next Heilu Challenge, keep an eye on our email updates for our next scheduled event. Also, if you know of events in the Vancouver area where we might be able to stage our next Heilu Challenge, let us know! We hope you enjoyed this update, and thanks as always for being part of the Heilu community!